In July, the house at 4445 Wallace Street was demolished. That block borders the west side of St. George's Junior School, and I continued to glance down the street when I would walk by on 29th Avenue because there are five houses of a modern design built in the 50's that I thought could be vulnerable for demolition. But in my carelessness, I missed that a second house, the house just north of 4445, had also been torn down. When I walked by last night on my way to the AGM of the Dunbar Residents' Association, I was surprised by this second demolition. The address is 4435 Wallace. According to the web, it was for sale for $2.188 million at some point, $450,000 over the assessment. 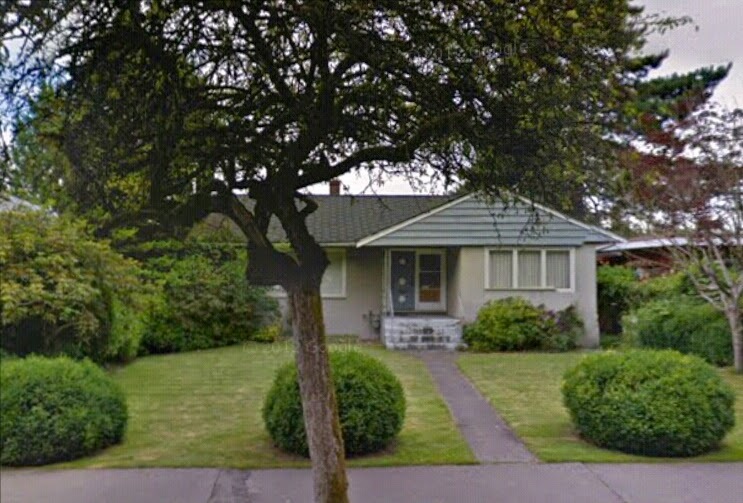 I regret not having a photo, but I remember it as one of those typical 50's one storey houses, like its neighbour at 4445 and like the originals between Crown and Camosun and 27th and 31st Avenues. 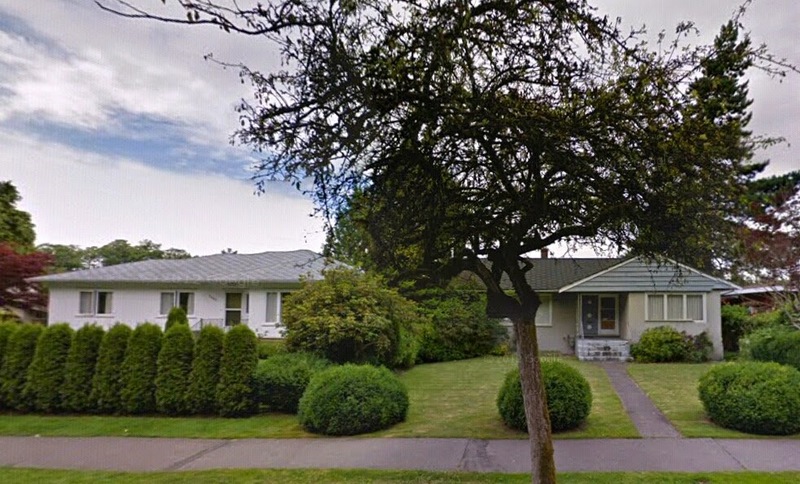 Oddly, the land assessment is $200,000 lower than the other 50-foot lots on the block, perhaps due to "sewer easement in back yard" mentioned in one of the for-sale ads. No one argued with Adrienne Carr's statement that the greenest house is the one that is already there.